Back from Vaca? Ready to finally get back into a schedule and get these people rolling on some progress? Take advantage of this "Back to Action" Special! 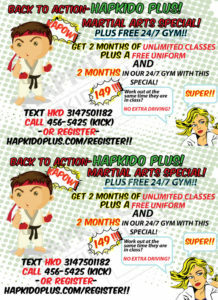 YOU WILL FIND NO BETTER FAMILY PLAN~ Full Access to our Hapkido Classes AND full 24/7 Gym access for you and your family. WORK OUT AT THE SAME TIME your kiddo is in class. UNIFORM INCLUDED. If you wait..................Its gone!~ ONly 20 Spots Avail. We are Pre-Registering for your 2 Month for 149 special Starting week of August 20th. Check our Class Schedule Page HERE and get your spot Reserved. 12 Hours of instruction Available every month. Uniform comes with the program. Classes Generally Start at 5:30. It can be later. 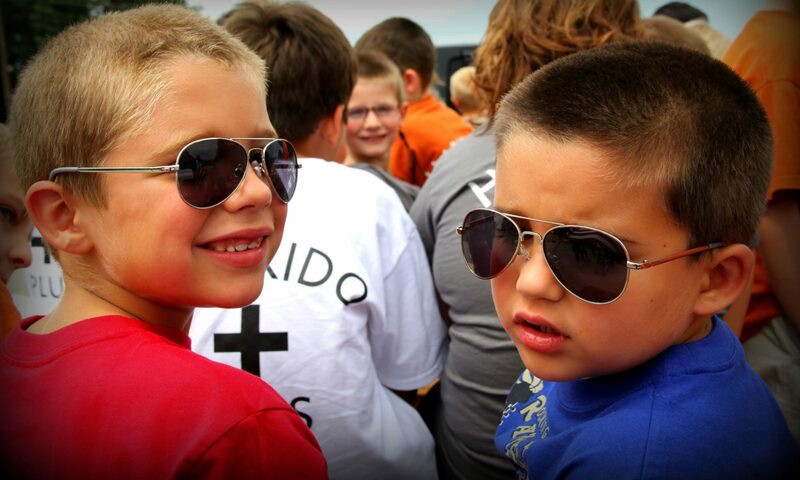 We will TEXT you to dial in your class time after registration or can TEXT us directly at 3147501182. HINT: We fill up super fast and usually have a waiting list when school kicks back in. Reserve your spot and pre register today. Use our Form and Payment options below.